Marked Bible for this passage. Prepare the copy in advance by highlighting the significant points to emphasize and underlining items that will need additional explanation. Explanation: This passage has a strong Gospel implication for children. Jesus was fully human and fully God. In his character we see the model and standard for righteousness in children. However, all children have sinned and not followed after Christ in these ways. Through the Gospel his perfect righteousness can become their own. Book: Listen carefully while I read from the Bible. I am reading from Luke chapter two. Listen for what Jesus was like when he was a boy. Read (and summarize) Luke 2:41-52. (Read with emotion and pause often to engage the children with the reading.) Be sure to emphasize the following ideas in your exposition. Jesus was a real boy. He was fully human and fully God. He grew up, had birthdays, and learned just like you. Jesus listened carefully to Bible teachers. Jesus always obeyed his parents. 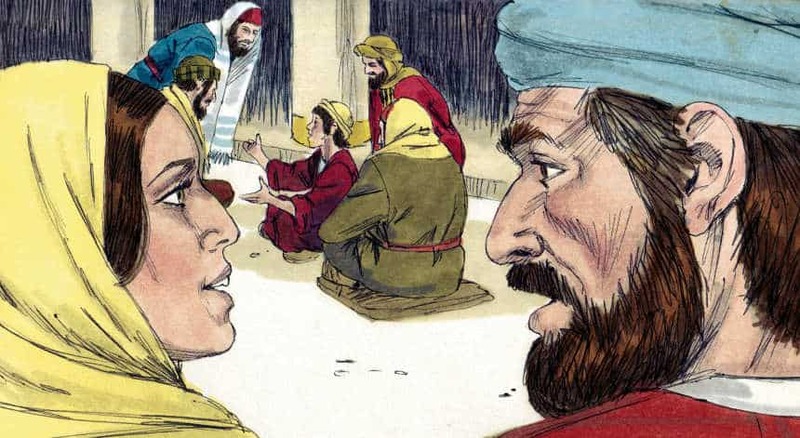 Ask the children to report on what they learned about Jesus from the story. Ask, “What was Jesus like when he was a child?” The answers should be closely related to the points of emphasize listed above. Yes or No: Read the following list of sentences. Ask the children to stand up for each sentence that tells something this story actually teaches about Jesus as a child. If the sentence was not taught in the story stay seated. Say, “Some of these ideas may have been true, but we can’t be sure if it isn’t in the Bible. Jesus liked to listen and ask questions from Bible teachers. Jesus went to the Temple and worshiped God. Jesus always obeyed his parents. Jesus had two dogs he loved to play with. Jesus liked to listen and ask questions from Bible teachers. Look: Mini Lecture: There are two lessons for you in this story. Jesus’ example shows us we need to be saved. You do not perfectly obey your parents. Its not because you’re a kid. It’s because of your sin. It’s because you don’t want to obey your parents. We need God to take away our sins and give us new heart. And that is what He promises to do if we will repent and trust in Jesus. Took: Pray that God will help us to trust in Jesus to forgive our sins.